Super AOX Skin Firm Moisturizer is a revolutionary antioxidant firming moisturizer cream for dry and normal skin. A light, rich moisturizing formula that contains 1.5% Lycopene, 1% CoQ10, 10% Matrixyl 3000 with Omega3 rich Inca Inch oil. 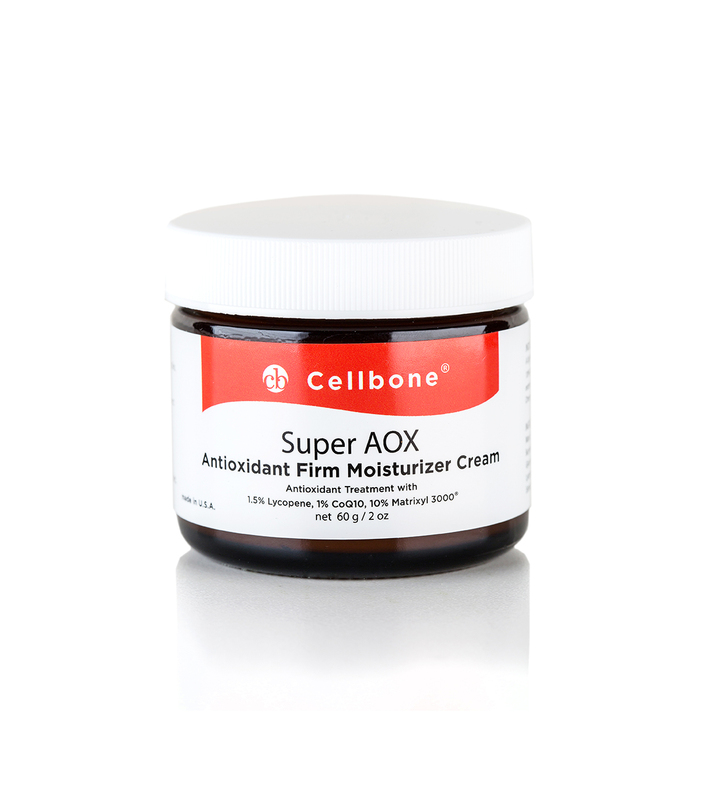 Super AOX, Skin Firm Moisturizer provides enhanced, active delivery of Lycopene and CoQ10 to the skin. The innovative antioxidant treatment Super AOX prevents premature sign of aging and protects the cells from environmental damage. Lycopene is a proven powerful antioxidant which fights free radicals that damage body cells. Inca Inchi oil is a natural source of gamma-Linolenic Acid (GLA), an important OMEGA-3/6 fatty acid, which the body uses in making skin cells. Inca Inchi oil penetrates deeper and delivers GLA and its benefits to the cells retaining moisture and skin becomes supple. Matrixyl 3000 helps reduce the degree of existing facial wrinkles and restore and maintain your skin's youthful appearance.